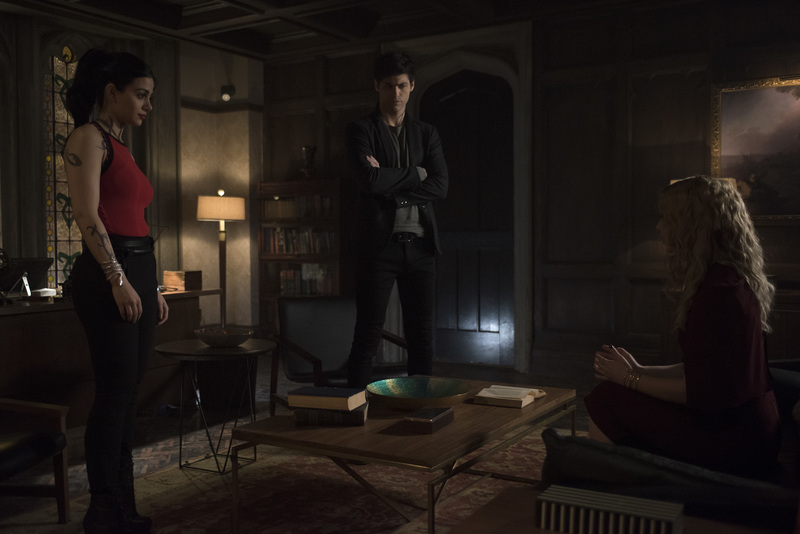 “To The Night Children” is the title of the March 25 episode of Shadowhunters and Freeform has released some photos to preview it! You can find the photos below. Again, it is requested that you PLEASE send people to look at the gallery on KSiteTV rather than copying onto Twitter/Tumblr/etc. so that we can afford to keep sharing Shadowhunters material for you. Thank you! Shadowhunters stars Katherine McNamara as Clary Fray, Dominic Sherwood as Jace Wayland, Alberto Rosende as Simon Lewis, Emeraude Toubia as Isabelle Lightwood, Matthew Daddario as Alec Lightwood, Isaiah Mustafa as Luke Garroway, Alisha Wainwright as Maia Roberts, and Harry Shum Jr. as Magnus Bane.